Live aquatic plants are a wonderful addition to any aquarium. Besides giving the tank a vibrant and natural look, they improve water quality, inject oxygen, and enrich the quality of life for the creatures who live with them. Fish love having live plants to swim around in. Most fish we keep come from thickly growing streams and rivers. The plants make them feel more comfortable and at home. They can use them to hide, graze on microorganisms that live on the leaves, and possibly even lay eggs in them! In this article, we will go over the very basic elements you will need to keep and maintain aquatic plants. Look for links to more in-depth articles on subjects like lighting, injecting CO2, and types of substrate. At the end, we’ll give a few recommendations for good species for beginners. Please note that we are going to keep this discussion centered around the easiest and hardiest aquatic plants. There are plenty of others that require far more attention to grow, but we’re going to leave that to the advanced aquascapers for now. What Do Plants Need to Thrive? What’s This About Balance and Algae? How Much Light Should You Provide? Is Water Quality Important to Plants? Hold On! I Planted My Plants, but Now All The Leaves Are Dying! OK, I’m Ready to Jump In! What Kind Of Plants Should I Start With? We’ll call these the ‘Big Three’. Growing healthy plants is simply a matter of keeping the Big Three in balance. If you’re getting too much or too little of one of the Big Three, your plants will suffer and algae will begin to grow. This might sound daunting at first, but don’t be scared! You’ll quickly find that you’re already providing most of what the plants will need. In a perfectly balanced system, your plants are getting exactly the right amount of each of the Big Three and not a drop more. If you are providing too much or too little of one of these, it will throw the system out of balance. Just like we can only eat so much food or drink so much water, plants can only use so much Light, Fertilizer, and CO2. If you have more food on the table than you can eat, it might sit out overnight and attract flies. Algae is the plant version of flies in the aquarium. If there is too much of any of the Big Three, algae starts to grow and pick up the slack. This means that algae is actually a great indicator of your balance. If you suddenly get an explosion of algae, one of the Big Three has spun out of balance. It’s worth noting that algae is NOT a bad thing. It’s a plant! We generally find it ugly, but the fish don’t care. I’ve seen people breeding rare and exotic fish in tanks thick with gross looking algae. This is the subject that seems the most intimidating, so let’s start here. Plants are carbon-based life forms, just like everything else that’s alive on this planet. We all get our carbon from the air we breathe. Most terrestrial plants do the same, but their aquatic counterparts need to be able to draw their carbon from the water. In heavily planted tanks, or for varieties that have a high carbon requirement, there are a number of methods of injecting carbon into the water. However, we are only going to discuss hardy, beginner-level plants without complicated needs where the CO2 requirements will already be met by your tank in the following ways. The fish in your tank ‘breathe out’ carbon dioxide in much the same way we do, providing the CO2 needed by your plants. Also, water has a natural equilibrium point of a certain amount of carbon dioxide and oxygen dissolved within itself. With circulation of water in the tank and disturbance at the surface – both provided by the filtration system – there will always be some amount of CO2 and O2 dissolved in the water. Enough to keep beginner plants happy. So in short, don’t worry about it. If you decide you want to grow demanding high-light plants, you’ll need to start thinking about injecting CO2 or adding liquid carbon. Until then, this is the least of your concerns. Every living thing needs food. Plants get it from fertilizer. The most common source of fertilizer is (drum roll please): fish poop! If you read our article on filtration, you know that you need to remove the ammonia and nitrites that are produced from rotting fish waste. The fish think of these chemicals as nasty toxins. Plants think of them as food! This is what is meant when we say plants help “clean the water.” They draw ammonia and nitrites out of the water as food. No species can clean 100% of the tank’s water, but they certainly can help keep it close to the levels we want. But if the natural fertilizer your fish are providing isn’t enough, your they may suffer. This will only really be a problem with high-light, delicate plants. The easy, robust varieties we recommend won’t require much (or any) fertilizers. However, if you want to try or need fertilizing, we recommend you start simple. The Seachem line of fertilizers is excellent. I have also used Flourish before with some success. If you have heavy root feeders, you’ll want to get some root tabs. They are little hard tablets you can insert into the substrate near the plants. They will slowly release the fertilizers you want over about six months. Pop them in and forget about it. Any grade school child can tell you that plants use photosynthesis to turn light into energy for growth. Odds are good that you are already providing a decent amount of light just so you can see your fish. As long as you stick to low-light loving plants, you should be fine. If you decide to increase the intensity of your light, or if you are already using very bright lights to make your fish “pop,” you’re going to need to compensate for that. Remember, we need to keep the ‘Big Three’ in balance. So you can compensate for more light by raising the levels of the other two parts of the Big Three (more CO2 and fertilizer). Or you can reduce how long the light is turned on (called the “photoperiod”). Simply turning the light off for an extra hour or two a day can make a big difference. As a general rule of thumb, aim for a photoperiod of 10-12 hours, depending on the plants and fish you choose. We recommend you get an electric timer for your aquarium lighting. Both the plants and the fish will appreciate having a regular light schedule. I set mine to turn on in the afternoon so the tanks are all lit up when I get home from work. They are best seen at night anyway, and when the light turns itself off automatically I know it’s time for bed. How much light you want to provide a tank gets into some pretty technical stuffs. There is an old rule of thumb that says you should provide about 2 watts of light per gallon of water. This is not a very scientific approach, is outdated and there are better ways to deduce correct lighting levels, but for a beginner it can be a good place to start. Anyway, a more important thing to consider is the color of the light. Color is measured in degrees Kelvin (like temperature). Your average light bulb is about 2700K, which is very warm and yellow. The sun gives us light right around 6000K. That’s generally what I recommend, as I think it looks the most like “natural” light. Fortunately for us, low light plants don’t care too much about color. You can pick the color you think looks best and they’ll be happy. Once you decide to go beyond simple varieties, then you’ll want to learn a lot more about lighting. No doubt you’ve seen photos online of bright red plants popping in the background of a perfectly trimmed tank? To get those colors, you’ll need intense, full spectrum light covering wavelengths from almost ultra-violet blue right up to infra-red, with the middling wavelengths we use to see being far less important to promote good photosynthesis and growth. We’ll get into all of that later in another article for more advanced planted tanks. Substrate is what we call the stuff on the bottom of the tank. It’s usually gravel or sand, but there are many options out there. Different plants will enjoy different substrate. A heavy root feeder like an Amazon sword or valisineria will want two or three inches of substrate to root in. If your gravel is too large, the roots can’t take proper hold. If your sand is too fine, it may become compacted and cause root rot. If the rocks are too sharp, the roots will get cut up and have trouble forming. We can’t go into every kind of substrate right now, so it’s always a good idea to do a little research on the plants you’re thinking of. You may need to set your sights on another plant, or swap out the substrate to accommodate what you want. Some of our favorites (Java Fern and Anubias species) don’t even require substrate to grow. They draw all their nutrients directly from the water column, so they can easily be moved around for cleaning. If you decide to go completely bare-bottom with your tank, you can still have lots of lovely plants. Best of all, these are some of the easiest to grow. Yes! Great question, we’re glad you asked. Plants can be negatively affected by the same water quality problems that will hurt your fish. Fortunately, by the time they’re in danger you’ve hit EMERGENCY conditions for the fish, so you will have noticed way before the plants are unhappy. If your fish are happy, the plants should fit right in, but do be mindful of where in the world they and your fish originate from. If you are keeping brackish water fish, you’re likely adding lots of salt and minerals to the water. Most live plants won’t do well in those conditions. If you have special water conditions, stick to varietiess that are from the same part of the world as the fish you’re keeping. You guessed it, this is important to plants as well. Most of those we keep are just fine at room temperature and don’t mind being in water upwards of 85 degrees. 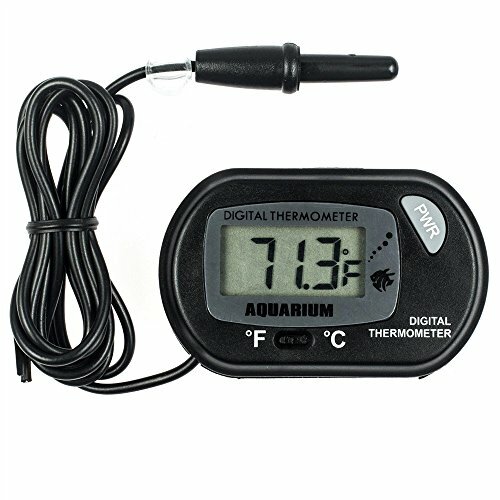 If your water temperature is varying past those points, you’re probably keeping koi in an outdoor pond. As long as your fish are happy with the temperature, the plants should be too. Once your plants are in and happily growing, they’ll want some maintenance and trimming. A happy growing plant will continue to put out fresh leaves. You’ll want to trim back the old and dying leaves, as well as any that get too big for the space. The greenery is there for your enjoyment, so don’t be afraid to cut off leaves you don’t like. Keep an eye on your plants. They will naturally lose leaves, and you can trim those out any time. Watch for excessive snails, massive die-off, or anything else out of the ordinary. If you start to encounter problems, come back to the Big Three. Has anything changed lately? Do you need more fertilizer? Maybe it’s summer and the tank is getting more natural light? Trial and error might be your best friend here, but with a little thought and investigation, you can usually zone in the issue and quickly resolve it. Don’t panic. This is common, and you probably didn’t do anything wrong. Many species will “melt” when first planted. They just went through a lot of shock and trauma, and they are shedding leaves to conserve energy. Cryptocoryne are the most notorious for this, but it’s seen across most plant species. Give the plant some time, at least a week or two. You should soon see new growth popping up through the substrate. First, let’s talk about how to select your plants. 1 – Pick healthy looking specimens in a healthy looking tank. If they have dead leaves or there are bits of leaf floating around, keep looking. 2 – Make sure the varieties you’re buying are actually aquatic. Plenty of pet shops will sell you plants that will live for a while underwater, but won’t do well. Lucky bamboo is a great example. It likes to stand in water but needs to grow up into the air to be healthy. When in doubt, Google is your friend. 3 – They can potentially bring pests and disease into your aquarium. If you’re not totally sure about where they’re coming from, you can sterilize them by soaking in a diluted solution of potassium permanganate. There are other methods involving bleach, but that’s risky at best. 4 – Before planting, remove any damaged or dead leaves. If the roots are long and scraggly, give them a little trim as well. This will help the roots branch out and get a better hold. Don’t worry if the leaves start to die. This kind of “melting” is common, and they should grow back quickly. 5 – When planting, consider how big they will get. You want the tall plants in the background and the shorter species in the foreground. What’s the point if you can’t see into the tank? For my money, the best and easiest plant to start with is Java Fern. It doesn’t actually need to root in the soil. It will draw all of its nutrients from the water itself, rather than from the roots like most plants. Java Fern prefers to be tied down to a rock or piece of wood. After a while, it will attach itself to the rock on its own. Besides making it extremely easy and versatile, you can easily move the rock/Fern combo around anywhere you want it. This makes changing your layout or cleaning your tank a breeze! Java Fern is a low light plant that can take almost any conditions. In the simplest aquarium, it should grow easily. Java Moss might be the only plant simpler than Java Fern. It is a fast-growing moss that will creep across your aquarium, attaching itself to anything it can. Like Java Fern, it will need to be tied down so it doesn’t float away. This is a plant you will find yourself trimming and tearing out just to keep it under control! The various species of Anubias are known as the “plastic plant that grows.” It is incredibly hardy, loves low light conditions, and grows extremely slowly. It doesn’t root the same way Java Fern doesn’t root. Tie it to driftwood or a rock and watch it just sit there and occasionally put out another leaf. The Amazon Sword is a classic aquarium plant. It sends roots deep into the soil and across the bottom of the tank. Amazon Swords put out big green leaves, and can get as big as twenty inches tall! They like a little more light than the others but are very tolerant of less than ideal conditions. Plant this guy in a back corner of your tank and watch it slowly take over. Amazon Swords will appreciate having a root tab placed near them, and they will want plenty of substrate to grow in. Another classic. This is an underwater grass that grows by sending out runners. It comes in a variety of sizes and lengths. Give it the right conditions and it’ll take over the aquarium. Crypts are lovely set in the foreground. They come in many sizes, leaf shapes, and colors. They are fairly slow growing, but are easy to maintain and a fantastic addition to any tank. Keep in mind, when you first plant them they will melt like crazy. Be patient and watch for new growth in a week or so. Hornwort grows happily floating at the top of the tank, or you can “plant” it in the substrate to look like a regular root feeder. It’s fairly delicate and bits of it will break off, but they just float around and keep growing. If you’re lucky enough to have breeding fish, the hornwort is a great place for the fry to hide. Growing aquatic plants in an aquarium can take the experience and enjoyment to a whole new level. When I look at my planted tanks, I don’t see colored rocks and plastic decorations. I see a little underwater slice of nature sitting in a glass box, right in my living room. To me, that’s exactly why we keep fish in the first place. Planted Aquarium Lighting Guide – What Type, How Much and How Long?